Description: Recommended enhancement: Spellbreaker. Abyssal Angels are the strategists of the Nation. 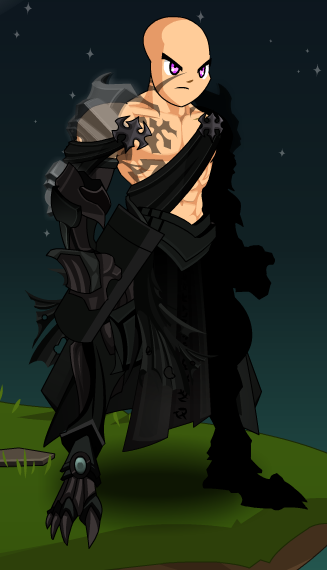 Trained by Revontheus to wield Crystal Weaponry, they excel at fighting multiple enemies with arrows forged by Nulgath. Abyssal Angels have various ways of taking their opponents down. No matter where you are, Nulgath's arrows will find their mark. Description: Fires long range bolts infused with Void Energy dealing Moderate Damage enhanced by your Spell Power. Can hit up to three targets. Each bolt exposes their deepest sins dealing a Minor DoT for 3 seconds. Stacks to 6. Description: Spreads it's wings and takes flight. Applies Vantage Point, increasing Hit Chance and Dodge by 15% for 6 seconds. Also allows you to focus all your fire on one target, empowering your arrows increasing your overall DoT Damage by 50% for the duration as well. Description: If Vantage Point is in play, you send shadow imgages striking up to 4 targets for Moderately Strong Damage. Applies Aghast, stunning the opponents for 3 seconds. If Vantage Point is not in play, applies Catalyst, siphoning their Haste, lowering it by 20% while maxing out your Haste for 8 seconds. Description: Suppresses your inner Void Energy to temporarily put you in a stasis granting you a High HoT and doubling your Endurance for 10 seconds. However, your auto attack can't apply Sinned Arrow for the duration. Description: Spawns Crystals from thin air to increase 25% Damage Resistance for 8 seconds. Also applies Clean Cut, increasing your Crit Chance by 25% for 6 seconds. 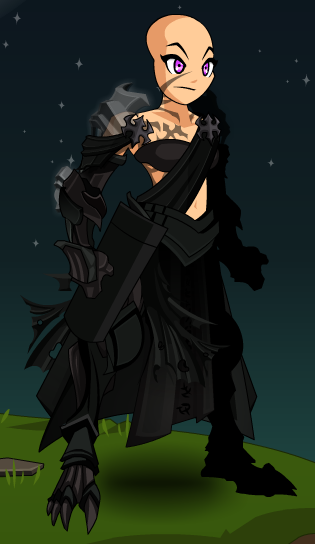 Abyssal Angel's Shadow (0 AC).